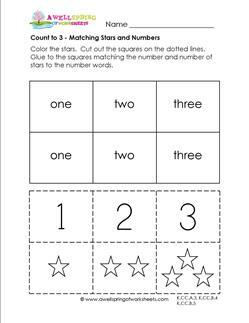 Like they say, “You’ve got to start somewhere!” and to count to 3 seems like a logical place to start. The Three Musketeers weren’t popular for nothin’. Or were they The Three Mouseketeers? (You know, Mickey, Donald, and Goofy.) 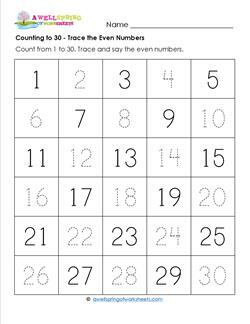 Anyway, getting back on track here…just like watching the antics in their favorite cartoons, kids love to practice counting. 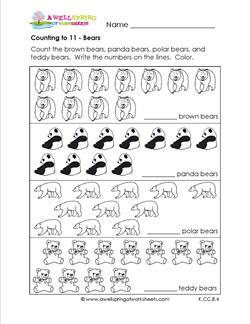 Skills include counting (of course), tracing, cutting and glueing, drawing objects, matching, reading or recognizing number words, and lastly, coloring. 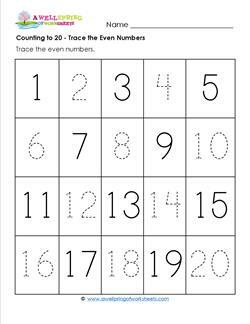 This set of counting to 10 worksheets is focused on learning how to count to 10 in a progressive manner. 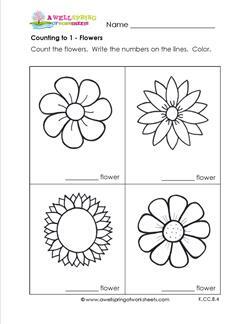 You will find two worksheets for each number between one and ten. 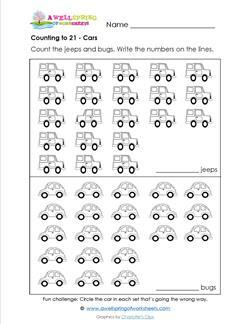 Each worksheet has four sets of the same number of objects, providing kids with the opportunity to practice counting to the same number several times. 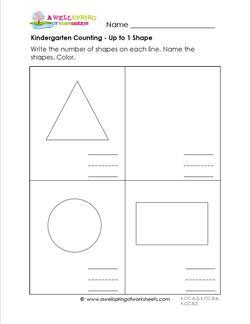 Yes, this is reinforcement and repetition! 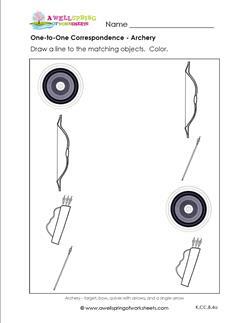 But in a really fun way. 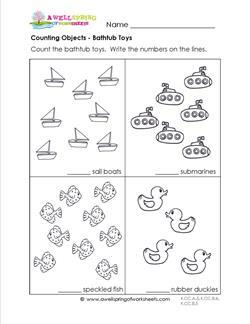 Have kids count the objects in each set and write the number on the line. 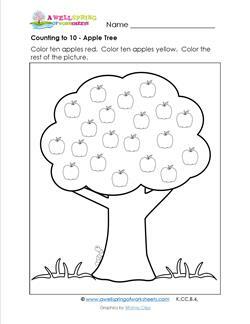 Then they can color, which is half the fun…. 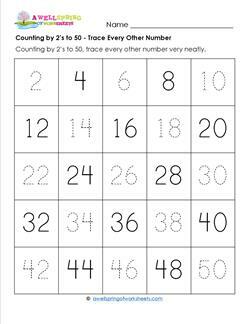 Children love to count, but the trick comes when they have to count starting from a number other than 1. 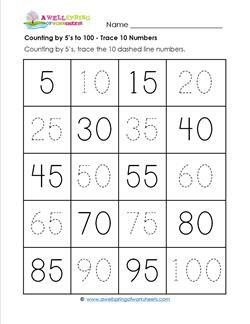 It may take a little getting used to, counting in number order like this, but kids eventually get the hang of it. When they figure it out they usually feel pretty good about themselves. And of course, you’ll feel great about them, too! 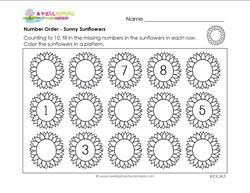 After kids fill in the missing numbers they can color the objects in a pretty or colorful pattern.